As we are entering the spring baseball season, it's time to get into gear with Coach Henry's Spring Break Baseball Camp! Sessions take place RAIN or SHINE!!! Coach Chris Henry along with current and former high school and college players will demonstrate and teach a variety of drills for all levels, along with live gameplay each day! All registration is directly through Coach Chris Henry. If you have any questions, please contact him at: chrishenrysportsinstruction@hotmail.com. Please download the flier for clinic and registration details. Registration will be limited, so hurry and enroll today. 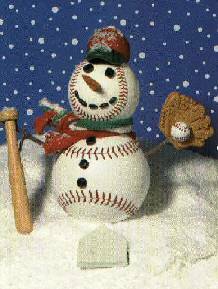 Group batting practice/instruction for SOM Baseball players with Coach Chris Henry will be offered at the Baird batting cages in January and February on Tuesdays and/or Thursdays. Sessions will focus on developing the complete hitter, covering stance and load, power position, approach and contact point to release as well as follow through, strike zone awareness and hitting to all fields. Each session will end with simulated game play to further develop the young hitter both physically and mentally at the plate. Fee: $60 for 4 sessions. For details and registration, CLICK HERE. This program is designed for experienced baseball players preparing for more advanced levels of play on the bigger field. 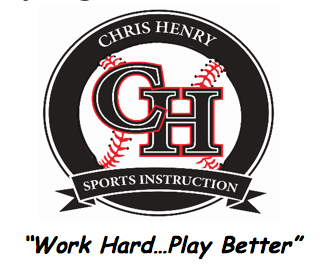 Coach Chris Henry will provide large group training for South Orange Maplewood Baseball players seeking to hone their skills for the upcoming spring and summer travel baseball seasons. Two-hour weekly workouts will include stations and progressive skill development over six Sundays beginning January 6th at South Orange Middle School. Fee: $105 for 6 sessions. For details and registration, CLICK HERE. Local coaches Chris Henry and Steve Livingstone will run a program introducing the fundamentals of pitching to our SOM Baseball players, ages 8 and 9 (as of April 30, 2019). Sessions will be held on Friday nights beginning February 1st. CLICK HERE for details and registration, or view the handout below. It's back!! Cougar Baseball Camp with Coach Chris Henry and his staff of former and current high school and collegiate players.